Israel is the center of three major religions, the cross point of cultures and habits, the place where the ancient history, tradition and archaeology all come together, creating a melting pot of humanity. Predominantly Jewish, the population of Israel can trace their roots to the Eastern and Western Europe, the Americas, North Africa, India and the Mediterranean. 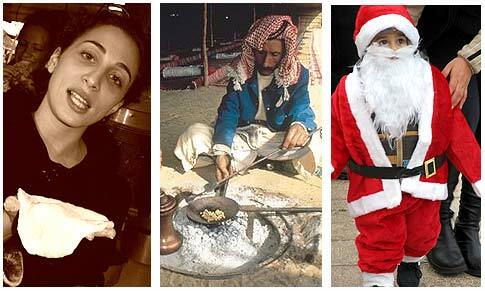 Thrown together, the Jews and the Arabs (Moslem and Christian alike), Bedouins and the Druze represent a unique variety of ethnicities and traditions, making Israel an inspiring and exiting destination for the people eager to experience the multicultural nature of the land and the people. 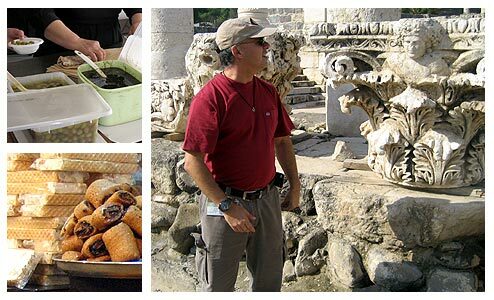 The diversity, and consequently the eating habits, attract individuals, food savvy enough to try something not ordinary, relax in a warm, friendly and easygoing atmosphere of their hosts, and explore the historic sites, going back thousands of years. Since the declaration of the State Israel in 1948, the ancient dietary law, Kashrut, has been imposed in public supermarkets, bakeries, and majority of the hotels, to emphasize the Jewish identity of the country and to facilitate the observant citizens and guests alike. You will learn about these laws and experience them in your cooking session. This intense diversity, as well as the controversy, attracts the very curious culinary professionals, who wish to understand the experiment and creativity, with the ever-present Mediterranean flavor, thrown for good measure. Wine is another matter. Growing and enjoying wine has been essential for the Jews since the biblical times. Modern grape planting started only in the late 19th century by the East European Jews and by the baron de Rothschild. The international recognition of the country’s superb wine came much later. Like Australia and South Africa, Israel is taking its place among the best in the winemaking industry. Several wineries have won their prestigious international awards and have become well known and thought after in the world. There is another, very small and exclusive industry – goat cheese producing-well on the rise, and marked as excellent by some cheese producers in Europe. And of course, the olive oil, widely used in the Mediterranean cooking as such, and among the population of Israel in particular. 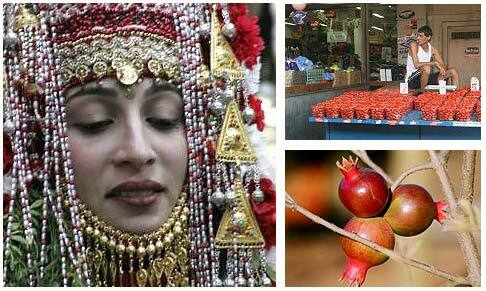 Our tour will give you only the taste of what can be found and experienced in Israel. We hope to make your trip an unforgettable one. A week of an unforgettable and tasty experience awaits you. Arrival at Ben Gurion airport. Meeting and assistance through customs by our representative and transfer to your hotel in Jerusalem. After checking in and refreshing up, join us for a cocktail followed by dinner and wine to start out culinary experience and introduce you to the herbs and spaces of Israel. After a full Israeli style breakfast, at your hotel, meet Chef Moshe Basson, famous for his specifically “Jerusalemite” food (kosher). Accompany him to Machaneh Yehudah market, for a brief explanation of the produce displayed there. Under the Chef’s guidance and instructions, cook your own lunch and enjoy it, accompanied by an excellent Israeli wine. After lunch drive to Mt. Olives for a breathtaking panoramic view of the City of Jerusalem. Enter the Old City through the Lion’s Gate, walk along the Via Dolorosa with its 14 Stations of the Cross and arrive at the Church of the Holy Sepulcher, the holiest shrine in the Christendom. Return to your hotel for a short break and in the evening drive to the home of Hila Solomon, an establishment called Spoon, for the exquisite dinner served in the dining room of the house built over 120 years ago. It is only by private booking and is quite unique. After dinner return to your hotel for overnight. After breakfast, enter the Old City again, this time from the Zion gate and into the Jewish Quarter. Walk through the Cardo, the old Roman road of Jerusalem, leading into the Wailing Wall, the holiest place for the Jewish people. After a visit to the wall, continue to Ben Yehuda Street, the main artery of Jerusalem shops with the souvenirs you can take with you home and nice trendy coffee shops. This area was built by Teddy Kolek, the late legendary Mayor of Jerusalem, as a tiny replica of his native Vienna. Continue to the Zeltzer goat farm in Sataf. There are over 200 goats in the farm, supervised by a few employees, servicing them and the goat cheese production. The outstanding cheese has received many international awards, some in Italy. Our light lunch will be the cheese tasting with the fresh farm bread. On to the Judean Hills to visit Domain du Castel, one of the most picturesque Israeli wineries; several of its wines, considered to be the finest in Israel. On to kibbutz Harel for a visit to Clos de Gat, one of the finest new estate wineries. There, surrounded by vineyards, stands the building where the assassinated Israeli Prime Minister itzhak Rabin, commanded the Harel Brigade in 1948. Return to the hotel for a short break, and leave again to Arcadia, one of the finest restaurants in Jerusalem where the Iraqi-born chef Kedem, who studied in France and the US, will host a very imaginative, contemporary dinner, prepared with local vegetables and herb, grown not farther than 10 – 15km from Jerusalem. After dinner return to your hotel for overnight. After breakfast, depart to Tel Aviv to the Carmel market. The Chef and owner of Carmela bistro, one of the most picturesque places in the country situated in the midst of the Carmel market, will take you on a tour of the market and serve brunch. After the market tour and brunch, drive along the shores of the Mediterranean towards the Tishbi Winery, a short distance away from Binyamina. Tishbi is a family of the vineyard growers since 1880, who decided to built their own winery in 1985. Taste the excellent wine and the local cheese there. Do not miss visiting the Alambic Still producing high quality brandy, the only one of its kind in Israel. Continue to Tiberias and arrive to your hotel for overnight. Free evening in Tiberias to experience the street food and enjoy street life by the lake. Start our day in the Galilee with a boat ride on the Sea of Galilee. Continue towards the Golan Heights area. Visit Chateau Golan winery, one of the unique boutique wineries in the area. Continue on to Rosh Pina in the Upper Galilee. Arrive at Muskat restaurant at Mizpe Hayamim, Israel’s famous resort, well known for its locally grown and served organic vegetable, herbs and fruit. A small dairy on the premises is known for the very good cheese. Lunch at Muskat, hosted by chef Haim Tibi. 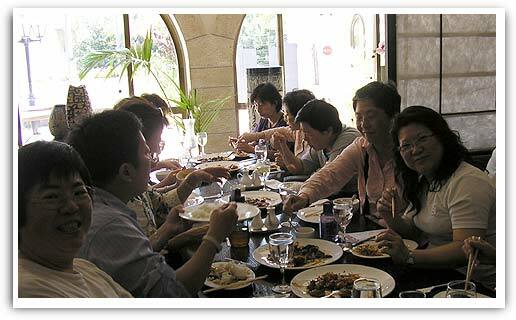 After lunch depart to your Tel Aviv hotel. Dinner at the Deda, an unpretentious little restaurant featuring the the most incredible Georgian food with its Chef Timur. After breakfast drive along the coast to the old city if Jaffa. This was the most famous port of Israel for thousands of years and the export port for the well known Jaffa Oranges. Continue walking the streets of Tel Aviv, Israel’s Metropolitan, with its samples of the bygone era of the 30s of the last century, the Bauhaus. Proceed to the Chloelys, reputably one of the best fish and seafood restaurants in Israel. Have the cooking class there with Chef Victor Gloger, the Argentine born, who studied and worked in Paris for over 15 years. You will cook your lunch and enjoy it with the excellent wine, followed by exquisite desert. After lunch, drive to visit Caesarea, the ancient Roman Theatre, the Aqueduct and the Hippodrome. Drive back to Tel Aviv and make a short stop at the old port of Tel Aviv, now an area of restaurants, clubs and shopping including an amazing Chocolate factory called Max Brener. Drive back to your hotel for a short break and go out for dinner at Yo’ezer wine Bar, a very romantic place in Tel Aviv. Return to your hotel for overnight. After breakfast, drive to Nazareth, in the Northern part of Israel. 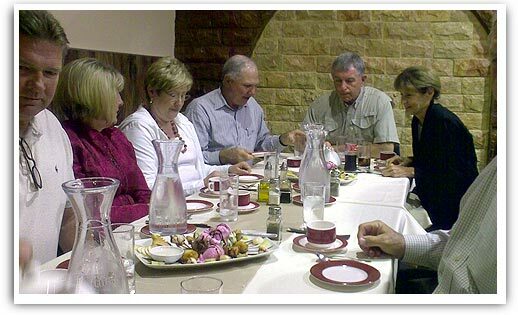 Visit the Church of the Annunciation and continue to Diana, probably the most authentic Arab restaurant in Israel. Together with the chef and owner Dokhol Safadi you will prepare your lunch and an excellent meal accompanied by local wine and followed knafa, a well known Arab sweet delicacy and coffee. After lunch, near Kfar Tabor, visit the olive oil facility of the Jahshans, believed to be one of the best in Israel. 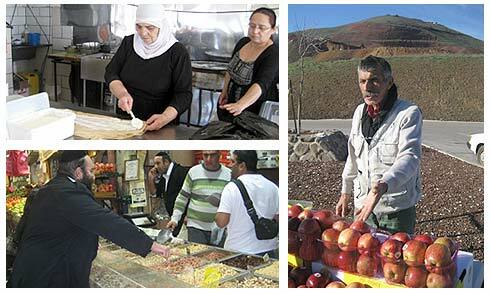 Experience the Druze hospitality and the olive oil tasting will be quite enjoyable. Return to your hotel in Tel Aviv and leave again for the Farewell dinner. It will be hosted by Chef Jonathan Roshfeld, probably, one of the most talented Israeli chefs, at his newly opened restaurant Herbert Samuel. Overnight at your hotel. After breakfast departure to the airport for your flight back home.